One of his priorities is to do something the Texas Supreme Court opted not to do – reform the state’s system for funding public education. 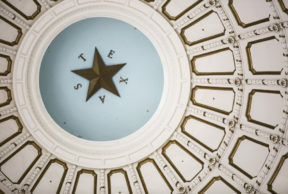 Tuesday afternoon, members in the Texas House of Representatives opened the legislative session by unanimously reelecting Rep. Joe Straus as House Speaker. This will be the fifth time they’ve chosen the San Antonio Republican to lead their chamber. In the past tea party conservatives have aggressively campaigned against the more moderate Straus – they’ve tried to unseat him. This time Straus had no opponents. In the end, 150-state lawmakers cast their votes, all for Joe Straus. During an interview, Straus acknowledged the tight budget lawmakers will be dealing with this time. There’s an estimated gap of $4 to $6 billion just to pay for continuing current services in the next two-year budget. “And that’s going to be a very tall order with the fiscal constraints we have due to the downturn in the oil and gas industry economy over the last several years,” Straus says. Straus says one of his priorities is to do something the Texas Supreme Court opted not to do – reform the state’s system for funding public education. The Justices said the system doesn’t work, but ruled it constitutional. Straus doesn’t give details but wants to do away with the so-called Robin Hood plan. That’s where the state redistributes tax money from property-wealthy districts to help pay for schools in property-poor districts. “I think our parents and taxpayers out there know it, several hundreds of school districts now are in the recapture system, in the Robin Hood System, sending far too much of their taxpayer dollars to the state, that needs to be addressed,” Straus says.